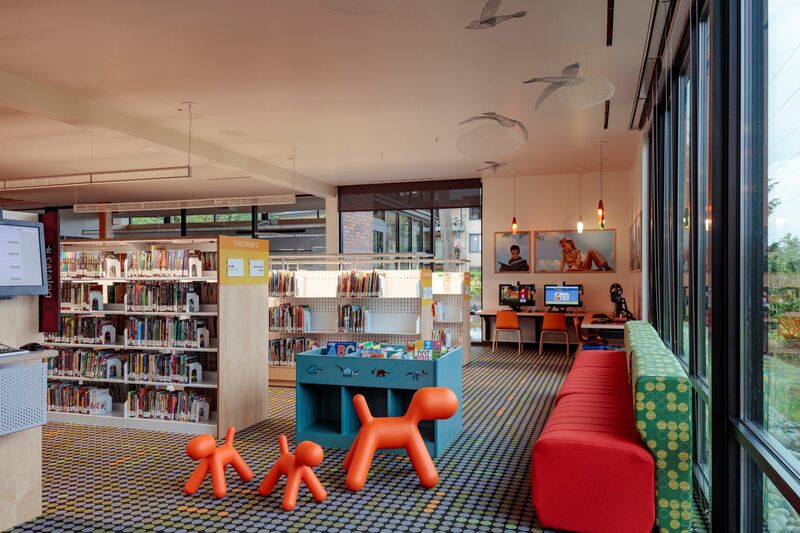 This library renovation project transformed a visually uncomfortable 1970s building into a warm, light- filled 21st century community gathering space. 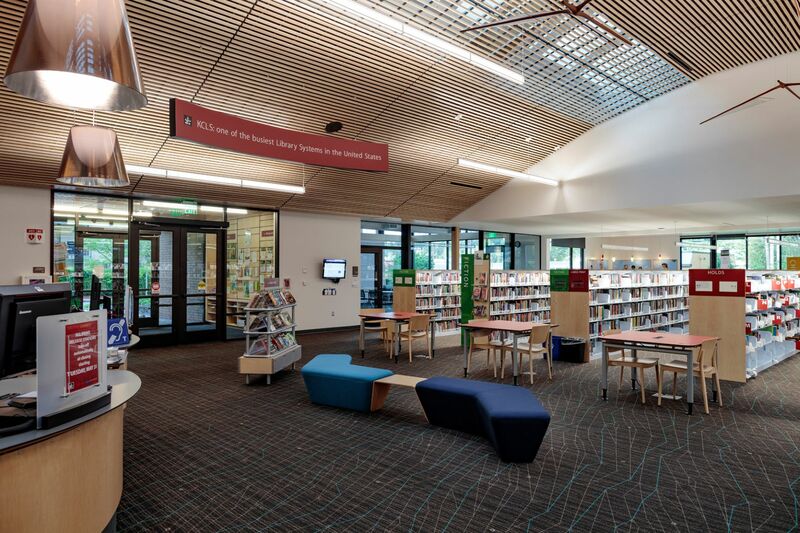 Limited effective daylighting and four-lamp fluorescent fixtures made the existing space glary, and inefficient, resulting in astronomically high-power consumption. 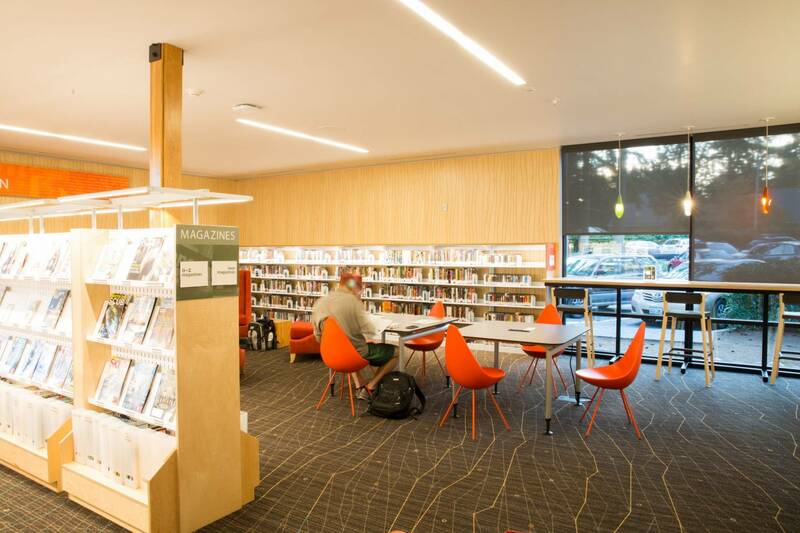 The performance criteria for the project was to develop efficient energy solutions while meeting required light levels and improving visual comfort and acuity. 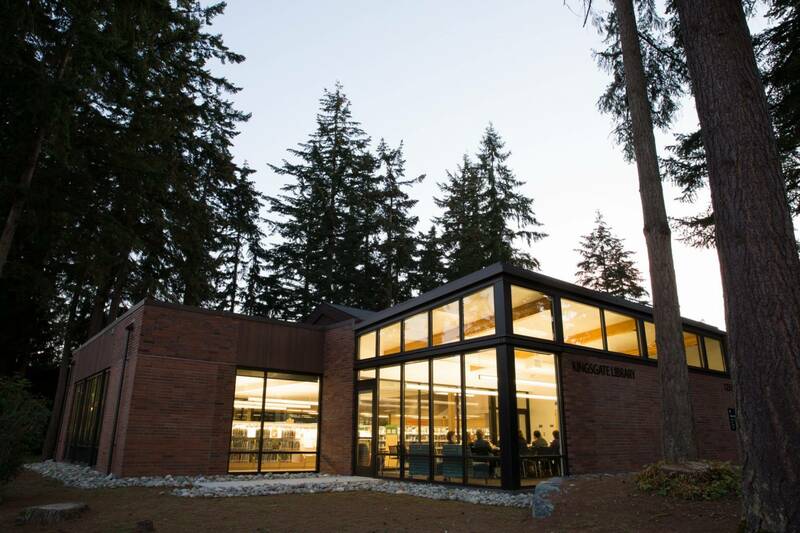 The design incorporated efficient light sources and daylighting strategies controlled by sensors and an integrated control system, reducing the buildings lighting power consumption from 2.5w/sf to 0.44w/sf, significantly under the 1.18w/sf allowed by the 2012 Energy Code. 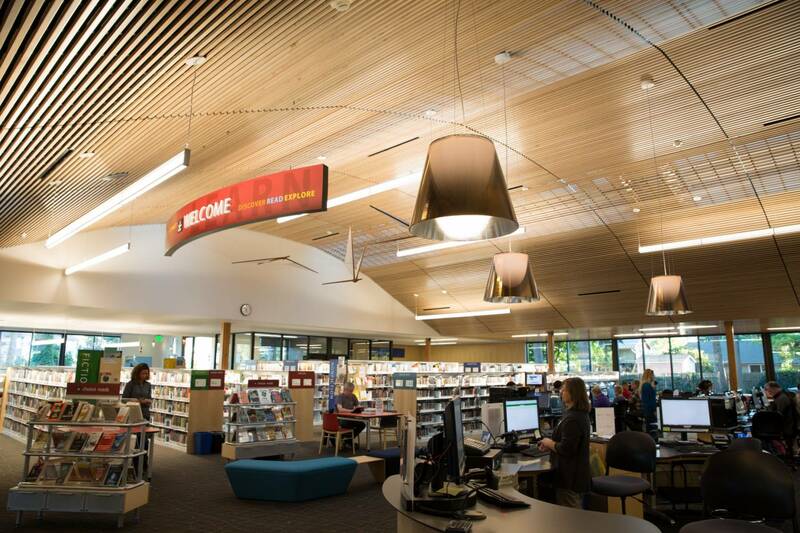 Working closely with the design team, vendors and contractors the project came in on budget in a timely manner, at about $4.7/sf contractor net for fixtures. 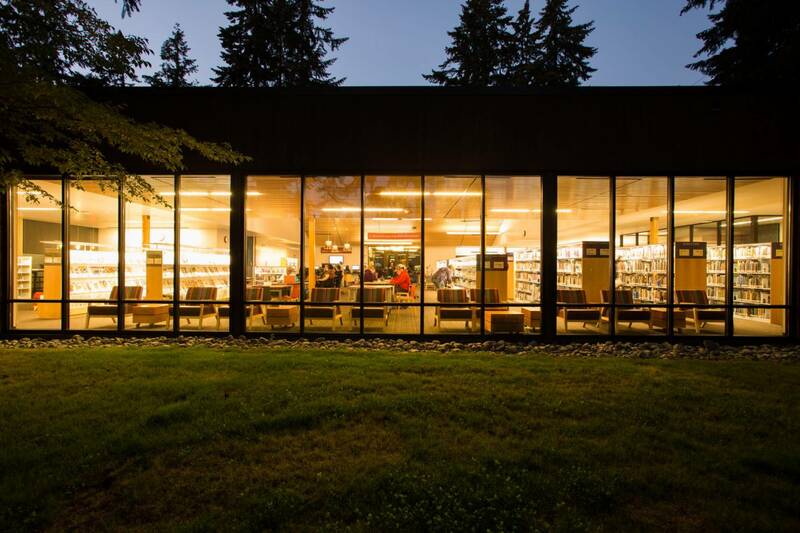 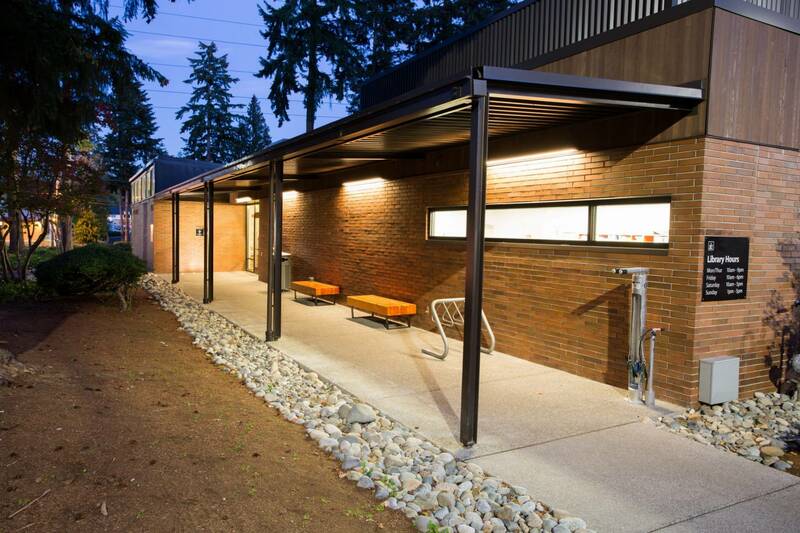 Now this community library glows and is a beacon and sanctuary for the neighborhood.